The actual profession of chiropractic – as a distinct form of health care – dates back to 1895. However, some of the earliest healers in the history of the world understood the relationship between health and the condition of the spine. However, treatment of the spine was still crude and misunderstood until Daniel David (D.D.) Palmer discovered the specific spinal adjustment. D.D. defined Chiropractic as, “The Philosophy, Art and Science of things natural. A system for adjusting the segments of the spinal column, by hand only, for the correction of the cause of Dis-ease.” He was also responsible for the earliest development of the philosophy of Chiropractic and provided the first definition for vertebral subluxation. D.D. Palmer was born in Ontario, Canada, in 1845. He moved to the United States when he was 20 years old. 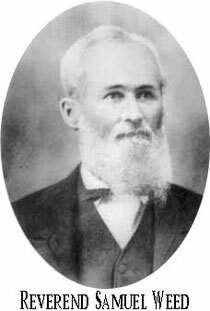 He spent the years after the Civil War teaching school, raising bees and selling sweet raspberries in the Iowa and Illinois river towns along the bluffs on either side of the Mississippi River. In 1885, D.D. studied with Paul Caster and learned the techniques of magnetic healing, a common therapy of the time. Two years later, he moved to Davenport and opened the Palmer Cure and Infirmary. 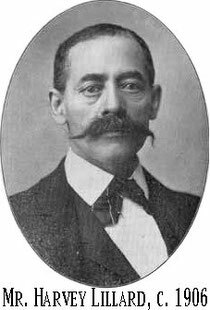 On September 18, 1895, D.D. Palmer was working late in his office when a janitor, Harvey Lillard, began working nearby. A noisy fire engine passed by outside the window and Palmer was surprised to see that Lillard didn’t react at all. He approached the man and tried to strike up a conversation. He soon realized Lillard was deaf. Patiently, Palmer managed to communicate with the man, and learned that he had normal hearing for most of his life. However, he had bent over in a cramped, stooping position, and felt something “pop” in his back. When he stood up, he realized he couldn’t hear. Palmer deduced that the two events — the popping in his back and the deafness — had to be connected. -Harvey Lillard, 320 W. Eleventh St., Davenport, Iowa, (Palmer 1897). Word of Palmer’s success in “curing” deafness traveled fast. Soon people with deafness from across the country were awaiting his miraculous treatment. Although he had some success in helping those with deafness he soon realized that many other conditions were benefiting from the same treatment. Over the succeeding months, patients came to Palmer with every conceivable problem, including flu, sciatica, migraine headaches, stomach complaints, epilepsy and heart trouble. D.D. Palmer found each of these conditions responded well to the adjustments which he was calling “hand treatments.” Later with the help of Reverend Samuel Weed they coined the term chiropractic — from the Greek words, Chiro, meaning (hand) and practic, meaning (practice or operation). He renamed his clinic the Palmer School and Infirmary of Chiropractic. In 1898, he accepted his first students. Although he never used drugs, under Palmer’s care fevers broke, pain ended, infections healed, vision improved, stomach disorders disappeared, and of course, hearing returned. Often surprised at the effectiveness of his adjustments, D.D. Palmer returned to his studies of anatomy and physiology to learn more about the vital connection between the spine and one’s health. He realized spinal adjustments to correct vertebral misalignments, or subluxations, was eliminating nerve interference that caused the patients’ complaints. Although Chiropractic was proving to be a successful way of healing the body it was not readily accepted. 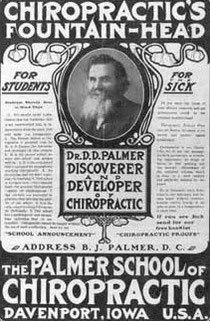 The medical community at the turn of the 20th century was afraid of Palmer’s success and began a crusade against Chiropractic. They wrote letters to the editors of local papers, openly criticizing his methods and accusing him of practicing medicine without a license. D.D. Palmer defended himself against the doctors’ attacks by presenting arguments that he provided a unique service which they did not offer and pointed out the well known risks of the many medical procedures of that era. He also cautioned against introducing medicine into the body saying it was often unnecessary and even harmful. In 1905, D.D. Palmer was indicted for practicing medicine without a license. He was sentenced to 105 days in jail and was required to pay a $350 fine. D.D. served his time and paid his fine but this didn’t keep him from adjusting. His patients (including his jailor) came to his jail cell to get their adjustments. D.D. 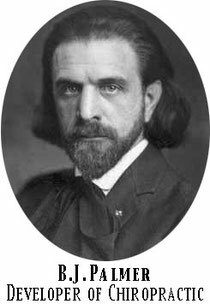 continued his fight to promote Chiropractic publishing two books from 1906 to 1913, “The Science of Chiropractic” and “The Chiropractors Adjuster.” He adjusted patients until his death in Los Angeles at the age of 68. D.D.’s son, Bartlett Joshua, was equally as enthusiastic about chiropractic as his father and continued his father’s work. Bartlett — or B.J. 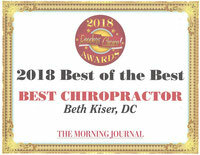 as he is now known — is credited with developing chiropractic into a clearly defined and unique health care system. 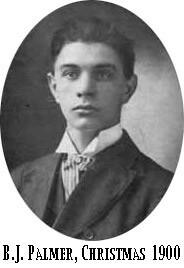 In 1902, B.J. graduated from the Palmer School started by D.D., and before long — with his wife and fellow graduate Mabel — was helping patients and taking on more and more responsibility for the school and the clinic. He also was instrumental in getting chiropractic recognized as a licensed profession. What made this different from the gross manipulation used in the past was the understanding of the global implications of this method as a distinct healing art. D.D. Palmer was a genius, but he had an abrasive personality, which was ill suited to the promotion of chiropractic. His son B.J. Palmer (right) was the marketeer, educator, and inventor that carried the chiropractic torch for the next sixty years. B.J. built Palmer School of Chiropractic in Davenport, which became the premier chiropractic college in the world at that time. In 1924, B.J. had the first radio station west of the Mississippi, WOC (or, Wonders Of Chiropractic). In 1928 he purchased WHO (With Hands Only) in Des Moines. He was a world traveler and writer, and drew an audience from all over the country, on his 50,000 watt clear channel stations. B.J. 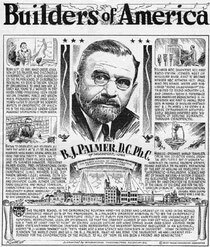 Palmer was also a prolific author and dynamic speaker, who spoke to audiences all over the world concerning chiropractic. 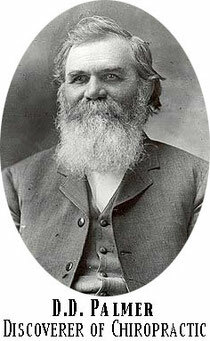 He was described as having zeal and being a brilliant salesman and missionary when it came to chiropractic. The practice of chiropractic continued to be met with significant hostility from the medical community, as it was an unfamiliar approach to health care. Many chiropractors were jailed for “practicing medicine without a license.” B.J. did much to increase the acceptance of chiropractic. He fought for the establishment of a separate licensing and regulatory boards for chiropractic allowing for it to be recognized not as a form of medical practice, but as a separate entity. He continued to develop the science, art, and philosophy of the profession from what was little more than a loosely knit structure. B.J. advocated the scientific advancement of chiropractic as the primary route to it’s acceptance. 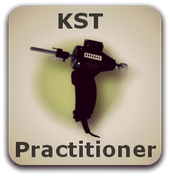 Through his leadership chiropractic became the first health care profession to regularly use Wilhelm Roentgen’s invention, the x-ray machine, which improved the science and accuracy of chiropractic. Today Chiropractic is licensed as a distinct healthcare profession in the United States, Canada, United Kingdom, Australia and dozens of other countries throughout the world. There are over 35 Chiropractic colleges throughout the world including the United Kingdom, France, Denmark, the United States, Canada, Japan, Australia and New Zealand. Today’s recognition and acceptance of chiropractic is primarily based on the strength of the growing body of scientific research, which all started from B.J. Palmer’s commitment to make Chiropractic Scientific. The positive results chiropractic care has given to millions of satisfied people continues to add credence to what one man started over 100 years ago. Chiropractic is now the world’s third largest healthcare profession and the fastest growing.